Thirteen Egyptians were kidnapped in the Libyan city of Sirte, adding to seven that went missing last week in the war-torn North African country, Egypt’s state news agency said on Saturday. Libya is split between militias loyal to an internationally recognized government, which Egypt supports, and those allied to a rival government based in Tripoli that includes Islamist groups and politicians. The 13 reported kidnapped on Saturday were Coptic Christians and Egypt’s foreign minister, Sameh Shoukry, had met with senior church officials on Saturday amid efforts to solve the crisis, state news agency MENA said. 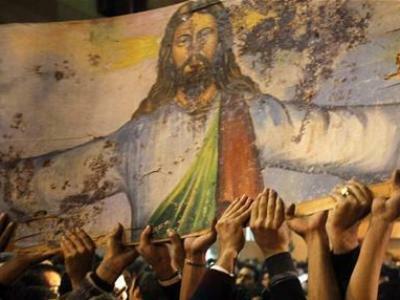 Magdy Malik, a Christian activist in Egypt, said that gunmen stormed a residence for expatriates in Sirte and abducted the thirteen Copts. Egyptian Copts have been targeted in Libya before during the chaos that broke out when militias that fought together to oust dictator Muammar Gaddafi then trained their arms on one another. Seven Egyptian Christians were found shot execution-style on a beach in eastern Libya last February. Local reports have said a Coptic doctor and his wife were murdered in their home in early December, with their daughter’s body later found. A formal diplomatic mission to retrieve the Egyptians would be difficult because much of Libya falls outside of the officially recognized government’s control, an Egyptian foreign ministry spokesman said on Al-Hayat, a state-owned television station.